3G will not be a feature in every model of the NGP, and the handheld's 3G services themselves will also come at an additional cost. 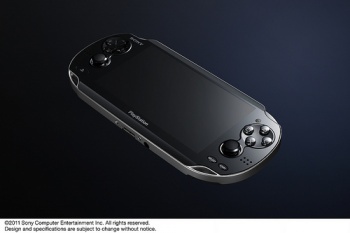 The PSP2/NGP's basic statistics have been laid bare, but there are still a few big unknowns surrounding the powerful new handheld. One is whether or not Sony will sell separate Wi-Fi and 3G models, and another is if Sony plans to charge for those 3G services. According to SCEE's Andrew House, Sony will do both. House told Eurogamer: "The first thing to clarify, which I'm not sure the presentation did a perfect job of doing today, is that all of the devices will have Wi-Fi capability; a separate SKU will have 3G. So the user gets a choice. Wi-Fi is available wherever, which clearly is the most important aspect of connectivity and that connected experience; 3G will be a subset of that." House also confirmed that in addition to what will presumably be a higher cost for the 3G model, the NGP's 3G services themselves will garner an extra charge. Sony is still working with providers and will share more about the 3G "strategy" closer to the NGP launch. Sony claims the NGP will be "affordable," but the prices of two different SKUs and its 3G services throw a mystery flag into the air over what it'll end up costing gamers in the end. Once it reveals more about the handheld, we'll be able to get a better idea of how truly affordable the use of all of its features will be. The idea of an always-connected handheld is intriguing, but it's only worth so much.